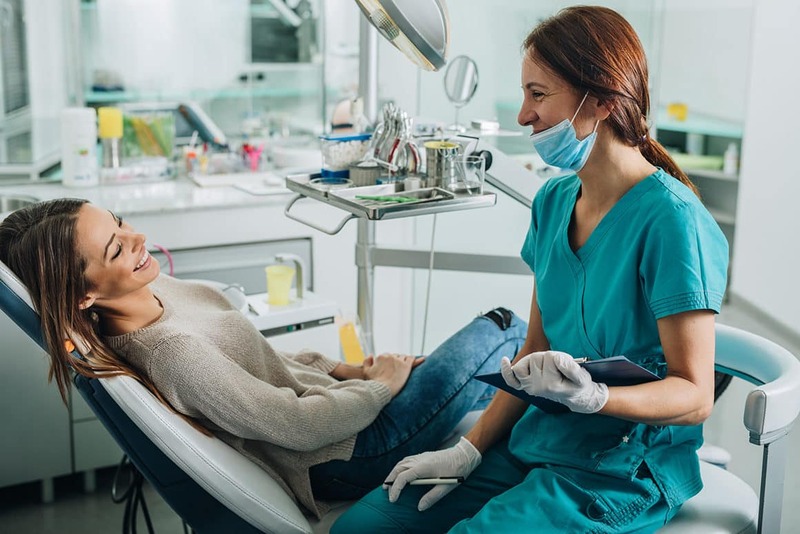 When you have a professional and qualified dentist, your dental treatments won’t seem as intimidating and visits to their clinic will give you an opportunity to learn how to improve your oral hygiene. Asking any questions you may have can also help you feel comfortable and confident. 1. How is My Overall Dental Hygiene? Asking your dentist about your oral hygiene will help you manage your overall health as well. You should be clear on all the aspects such as whether there are any areas you need to take special care of, and if you are brushing your teeth properly. 2. How Do I Whiten My Teeth? Tooth discolouration occurs when you consume coffee, tobacco, wine, and other highly pigmented foods. You could get professional whitening done or consider veneers to treat the problem, as having discoloured teeth can lower your confidence. 3. How Often Should I Go for Dental Checkups? It is one of the most significant questions to ask your dentist. Although dental health varies from person to person, it’s recommended to visit the dental clinic 1 – 3 times a year to get your teeth cleaned professionally and get them examined for any potential problems. 4. How Can I Practice Good Oral Care at Home? Consume less snacks that have a high quantity of sugar. Use products that have fluoride. 5. Should I Use Mouthwash? You could add mouthwash that contains fluoride to your dental care routine because it can help freshen your breath, maintain healthy teeth colour, and fight cavities. It can also help treat dental conditions such as tooth sensitivity. 6. How Can I Avoid Gingivitis, Tooth Decay, and Other Similar Problems? To maintain your oral hygiene, in addition to visiting your dentist regularly, you must consume a balanced diet including an appropriate quantity of sugar. Also, practice an effective oral care routine two times a day. If you have any questions regarding tooth or gum problems, discuss them with your dentist. 7. Do I Have Gum Disease? Studies show that most adults typically have some form of mild or severe gum disease. If it’s not treated properly, it can cause chronic infections that have implications for overall health, as well as tooth loss. Talk to your dentist to find out if you are suffering from any type of gum disease and assess your risk level. It’ll help you identify the symptoms before they become serious problems. 8. Should I Consider Having Dental Implants? Implants are permanent fixtures and an excellent alternative to dentures. If you have a missing or damaged tooth, having a dental implant is an ideal way to treat the problem. It can help the remaining teeth from loosening or moving. 9. How Do I Treat My Sensitive Teeth? Experiencing pain when consuming foods that are sweet, acidic, hot or cold is a sign of tooth sensitivity. Thinning of the tooth enamel causes this condition. The most effective way to treat it is to consult your dentist to help find an appropriate solution. 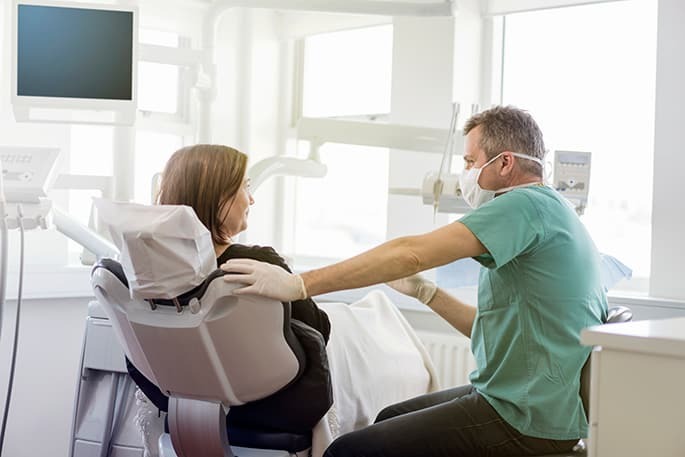 At Westboro Dental Clinic, we have a qualified team of professionals and the best dentists in Ottawa to cater to your dental needs and provide you with the best possible advice. If you have any dental concerns, do not wait till the problem worsens. Call us at 613-722-4450 to schedule an appointment.